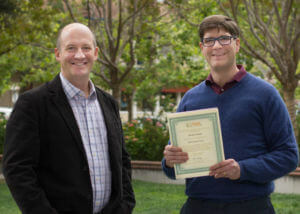 Santa Cruz, CA, June 26, 2015 –Monarch Media, Inc., a leading provider of custom digital training and education solutions, is pleased to announce our recertification as a California Green Business by the Monterey Bay Area Green Business Program and our pledge to become carbon neutral in 2015 with COTAP.org. Recycling programs, including educating employees on what is recyclable using eLearning tools. Working digitally and being almost entirely paperless. Publishing a monthly environmental newsletter about new environmental findings and tips for improving environmentalism at home and in the office. Signing up with PG&E to be a carbon-neutral energy buyer. One of our exciting new initia tives in 2015 is purchasing carbon credits from CoTap.org, which allows us to both help the environment and contribute to poverty alleviation. Monarch Media is a leader in creating eLearning and mLearning solutions across the globe. For more than 17 years, it has helped leading corporations, government agencies, universities, schools, and nonprofits accomplish their training and educational goals by blending the right technology solutions with superior instructional and user experience expertise to deliver effective, compelling online learning experiences. For more information, visit dev-monarchmedia.pantheonsite.io.